In the last decade, the demand for luxury crossovers has seriously heated up. Cadillac was quick to get in on the fun with the introduction of the SRX mid-size crossover SUV in 2003. The Cadillac SRX has been immensely successful and became the luxury brand’s best-selling vehicle in 2010, and has gone on to hold that title several years more. The first generation of the Cadillac SRX was introduced in 2003 as a 2004 model. The initial SRX was based off GM’s Sigma platform, and offered a 255 horsepower V6 and a 320 horsepower V8. The first generation would run until 2009, when a redesign would signal the second generation of the Cadillac SRX for the 2010 model year. The V8 was dropped in favor of a more fuel-efficient turbocharged V6 that still pumped out 300 horsepower. A safety recall in 2010 would affect about 550 SRX models, but it did not slow sales, as Cadillac would go on to sell over 50,000 units and begin the SRX’s best-selling streak. The Cadillac SRX is currently in its second generation, and the luxury automaker is continually looking for ways to improve its crossover. 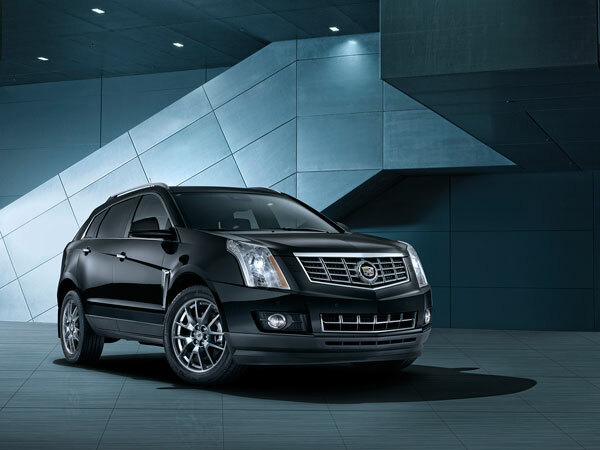 The recent addition of turbocharged engines optimizes performance, while maximizing fuel economy, and the pioneering of flex-fuel capable engines allows the SRX to run partially on environmentally-friendly ethanol fuel. Cadillac has also focused on adding technology to the SRX, including the CUE infotainment system, which uses smartphone integration to bring drivers’ favorite entertainment inside the Cadillac SRX.